Lahore has beauty. Lahore has life. 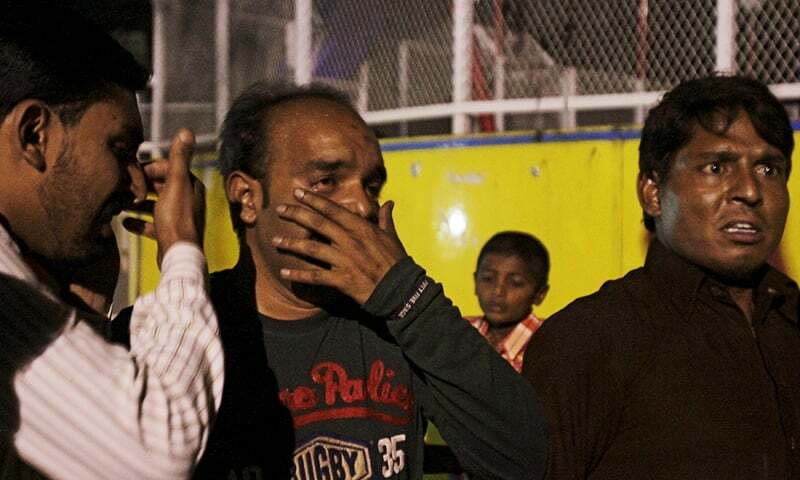 On Sunday, around 72 people were killed and another 300 were injured as a suicide blast ripped through Gulshan-i-Iqbal park. 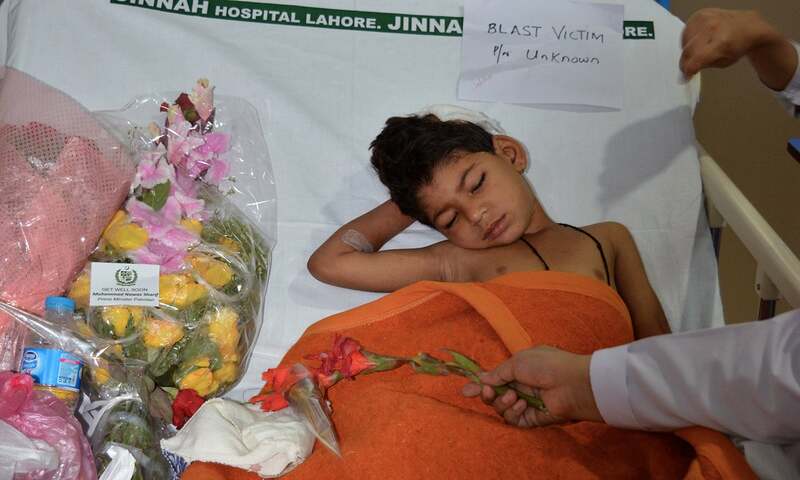 The heart of Lahore and its children were under assault. The park was crowded with families—mostly women and children— when the bomb went off. 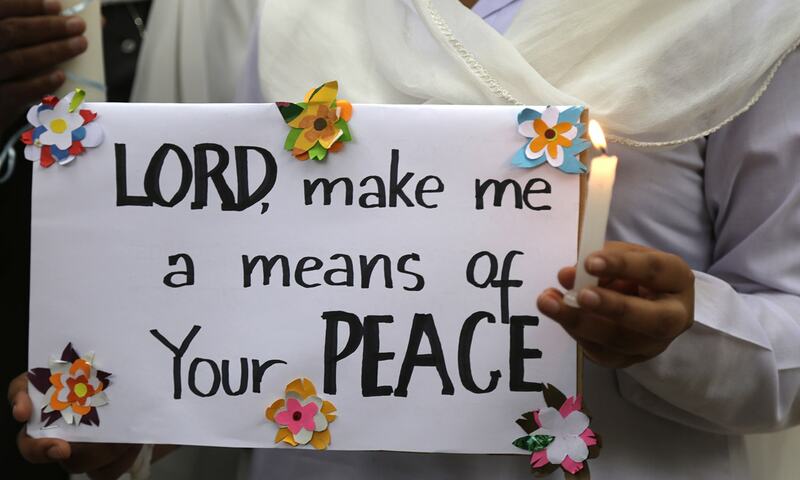 For many, it was a replay of the horrific Army Public School, Peshawar attack. But Lahore has not reacted with fear. Instead, it chose compassion. 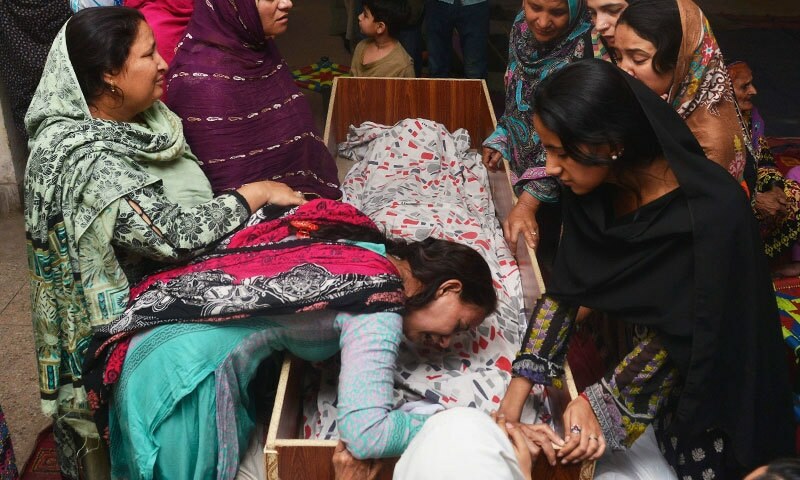 Despite the warnings by the militant Tehreek-e-Taliban Pakistan Jamaatul Ahrar behind the attack, Lahore’s people and their spirit have overshadowed the intentions of the attackers. At Jinnah Hospital—where close to 150 survivors are receiving treatment—the blood banks are running out of space. People are thronging the hospital in numbers greater than it has seen before. Adil, who manages a counter at the blood bank, says the bank is currently only taking contact information and sending people back. Sher Khan and Usman, for instance, came on Monday to donate blood. They had come the day before too, but were turned away after waiting for three hours. The two friends are not alone. Volunteers say that hospitals are overflowing with gifts and donations: flowers, juice boxes, lunch, clothes, bedsheets. Although Lahore is on high alert, the goal for many is to reach the hospital and help in any way they can. Medical student Urooj rushed to the hospital as news of the blast broke and has spent the last two days finding out what survivors' immediate needs are. She has helped to coordinate supplies coming in and tending to what is needed next. She has had to turn many people away, since there is enough stock of food and water, but she reminds them to keep in touch, since more help will be needed once things subside. She is particularly concerned with what the survivors might need a few days from now, when they are discharged, and is taking note of all they might have to gather: wheelchairs, crutches, money for medicines. An engineer by profession, Adil Rabbani has joined his group of friends who were already at the hospitals. He has made multiple rounds of all the hospitals helping out with the supplies. His friends too, have joined in, helping out in whatever way can. Dr Amna Afzal was in surgical emergency at Jinnah Hospital when the blast happened. As victims began pouring in, she stayed on her feet and worked for 36 hours straight. There's a lot of rushing around: shifting one patient from here to there, passing a tube to another, checking up on a third. "It's not a one-man job," Afzal says. "It happens only when a lot of people work together." She remembers how the staff on-duty began going through the patients as soon as they came in. As the patients began to grow in number, off-duty staff was also called back— from nurses and sisters to professors and head of departments, everyone returned as they heard the news. Doctors worked tirelessly to ensure that as many victims as possible could be saved. At the end of the day, Dr Afzal says they knew they had to withstand the blast’s emotional trauma to focus on the bigger picture: saving lives. She says they were lucky, because every doctor from every department was lending a helping hand. Even the people who were there but did not have medical expertise, such as relatives and attendants, helped out where they could. “I’m happy that our people still have the spirit to help," she said. Mariam Khalid was waiting for a ride at the park and standing very close to the suicide bomber when the blast went off. The impact left her with several injuries and discomfort, but treatment has been fast. Her spine and leg were treated as soon as she was brought into the hospital; she says the nurses and doctors were handling the situation extremely well. Only her lip remains to be stitched. The support she received on Sunday has not wavered: since she isn't sure when she will be discharged, Mariam is still receiving care. The doctors continue to check up on her, as do the countless of volunteers rushing about the hospital halls. Popular private car-hire services Careem and Uber responded to the attack by doing their own part for blast victims: offering free rides for people wanting to donate blood at hospitals. The announcement came from their Twitter and Facebook feeds respectively. All customers had to do, they explained, was type in 'DONATE' (Careem) or 'SaveLhr' (Uber) in place of the promo code. Sayyed Zaman Haider is from Skardu Gilgit Baltistan, but has spent most of his life in Lahore. He has been putting out his own calls for help on social media and is on a mission to help injured children smile. 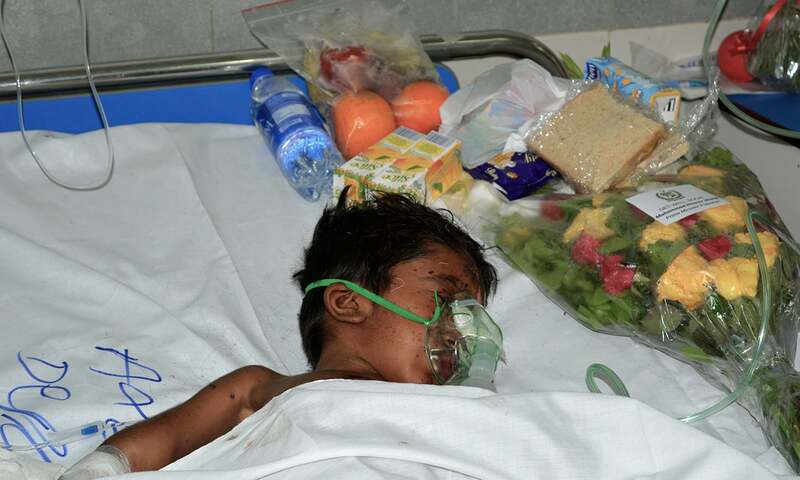 Zaman and his team, Umair Shah, Abdul Basit, Moosa Raza, Zarsha Zainab ,Kinza, Haram and Komal have parked themselves at various hospitals right after the blast occurred. Zaman says that his involvement is the story of the passion that a common Pakistani has. When the blast happened it shook him to his core. “It was a black Easter,” he says. He thought of ways he could possibly help the victims—he thought of necessities, and reached out to activist Jibran Nasir to help him engage people further. The plan was to provide lunch boxes to the victims. “I started from 100 boxes,” Zaman says. “And then we arranged 1,000 boxes, with a 1,000 water bottles.” Zaman and his friends took the boxes to Jinnah Hospital and Sheikh Zayed Hospital, where they spent the entire day. The efforts of those trying to help are at times complicated by the arrival of leaders who want to keep a check on the survivors. “We have had to face pressure because of VVIP persons and their protocols,” Zaman says. “But we continued our work.” Zaman has tried not to lose focus of the bigger goal: doing everything they could for the people. He believes that when the youth of Pakistan gets involved, big things can happen. “We can change the world through small activities,” he says. Pakistan Zindabad!!!!! Pakistan Army Zindabad!!! Dear Pakistani brothers and sisters, We feel your pain in the middle of our hearts. Turkish people always with you. We'll stop this stupid, coward war together. We believe that peace will rule the world again. Selam to all Pakistan. Good trumps evil. The brave overpower the cowardly. We fall, we rise. I will alway love you my Pakistan. Proud of the spirit. Pakistan Zindabad. @Engin : Thankyou Turkish brother! Feels good to see that! We are alive! Dont assume anything about this nation by just looking at the terrorist activities and the corrupt politicians! Reading this brought tears to my eyes. What a spirit. These people are following the teachings of the prophet not those killers who profess to be Muslims. We now need to capitalize on this spirit. We need to root this evil out everywhere. No more passive attitude. We must stand up and be counted and stop this destruction. Respect for the people of Lahore. Thats my Pakistan, as I write I have tears in my eyes. BTW I have so many Indian friends here in the US and guess what, they all called me to make sure my family is ok as they know I am from Lahore. I am so proud of Pakistani people, the way they ran to the hospitals donating blood and doling their love through practical means. Lets unite together and eradicate this vice from our society. Like all tragedies, be those anywhere, this one is another sad addition to the toll of innocent victims. It is time the common people got united to thwart all efforts of inhumanity. Shall the founder architects and patrons of barbarism ever realise the heinousness of their misdeeds, and have a change of heart for the good of all? 'Lahor lahor aae'. You can knock us down but you will NEVER knock us out. These coward terrorist criminals can never defeat this proud nation. We will prevail by the grace of God. What a tragedy. Such smart resourceful people laid waste by a poisonous ideology. If the people of Pakistan united together and worked towards betterment of society, the nation would have become a powerhouse economy ahead of the likes of South Korea. Instead, people are wasting their life at hand in pursuit of the life after, which nobody has seen. Thanks for this great report. This is real culture we Pakistanis have, love, help and passion for everyone from any religion. If we keep doing like this, we will knock out religious fanatics one day, InshAllah. A horrible event indeed, God bless this country. Bravo Lahore, you have responded like Karachiites! This spirit of help is what Islam is all about. Your assistance and spirit will defeat the terrorists. Bravo! Alhamdulillah! Hats off to Zinda Dilaan e Lahore. We have shown again that we are not a dead nation. Pakistan Zindabad.